Tue, Mar 26, 2019, 12:21 pm SL Time, ColomboPage News Desk, Sri Lanka. 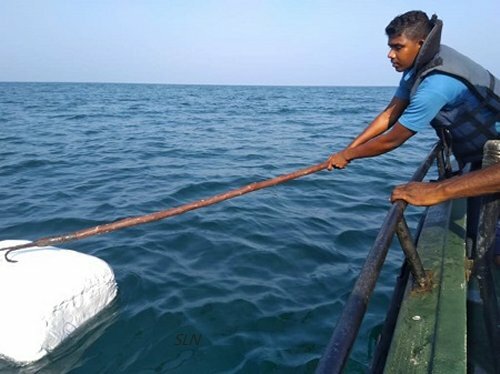 Mar 26, Colombo: Navy personnel of the Rapid Action Boat Squadron (RABS) attached to the North-Western Naval Command have seized 1232.5 kilograms of beedi leaves found floating in the sea. The RABS personnel during a patrol carried out in Udappuwa sea area recovered the haul of Beedi leaves which was packed in 35 parcels. The haul of Beedi leaves was handed over to Customs Sub Preventive office in Sinnapadu for further investigations. It is suspected that, this consignment is a smuggling attempt from India by floating over the sea. 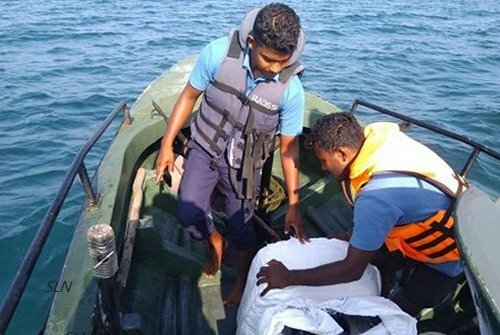 The Navy during the last few months of this year has seized over 7000 kg of Beedi leaves smuggled into the island by various means. The process of preventing such smuggling attempts is continuing, the Navy Media Unit said.